I love baking and my love for it is increasing everyday. I don't need any particular occasion to bake but yes, on every special occasion I like to bake something special. Yesterday, was our marriage anniversary :) So decided to bake something special for the special day. There were some ripe bananas lying on the counter top. 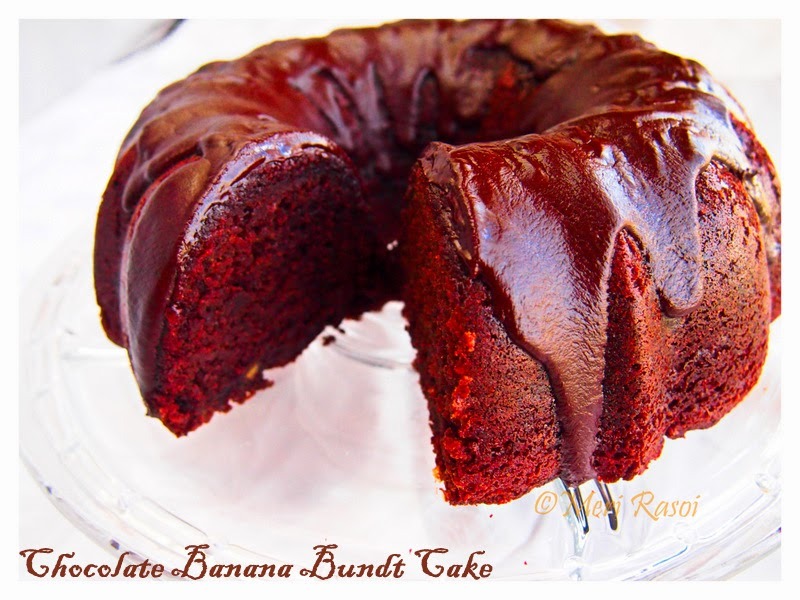 So decided to combine chocolate and banana to make a decadent CHOCOLATE BANANA BUNDT CAKE. 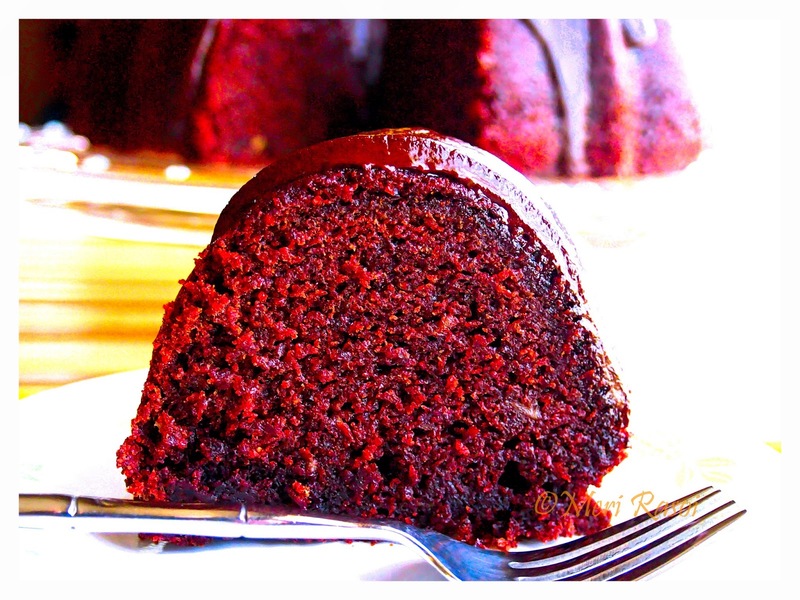 This is a delicious , moist cake and can be put together in no time. This recipe makes a big cake , ideal when you have guests over. Set the oven rack in the middle and preheat the oven to 350 F. Spray a 10 inch bundt pan with a nonstick baking spray. Whisk together all the dry ingredients (flour, sugar, baking soda, baking powder and salt). Mash the bananas roughly using a fork. Add in the beaten eggs, vanilla extract and the yogurt. Set it aside. Combine cocoa powder, espresso powder, butter and water in a medium sauce pan. Bring this to a boil on a medium heat , stirring continuously. Continue until the mixture is well blended. Turn off the heat and set it aside. Add the chocolate espresso mixture to the dry ingredients. Mix well. Add in the banana-yogurt-egg-vanilla mixture and whisk the mixture well. Add the cake batter to the prepared bundt pan and bake for 45-50 minutes or until the toothpick inserted at the center of the cake comes out clean. Transfer cake to cooling rack and cool 10 minutes, then invert directly onto the cooling rack and cool to room temperature, about 1 hour. Mix the heavy whipping cream and butter in a microwave safe bowl. Bring the mixture to a boil. Pour this hot mixture over the chopped chocolate bits. and let it stand for a couple of minutes. Whisk gently until its smooth. Drizzle the ganache over the cake and serve..
You can use dark brown sugar instead of regular sugar. Instead of drizzling ganache over the cake, you serve the cake with some icing sugar on top. The yogurt can be replaced with sour cream. The baking time varies from oven to oven. So keep an eye. Its mouth watering! !Loved it and loved it!!! 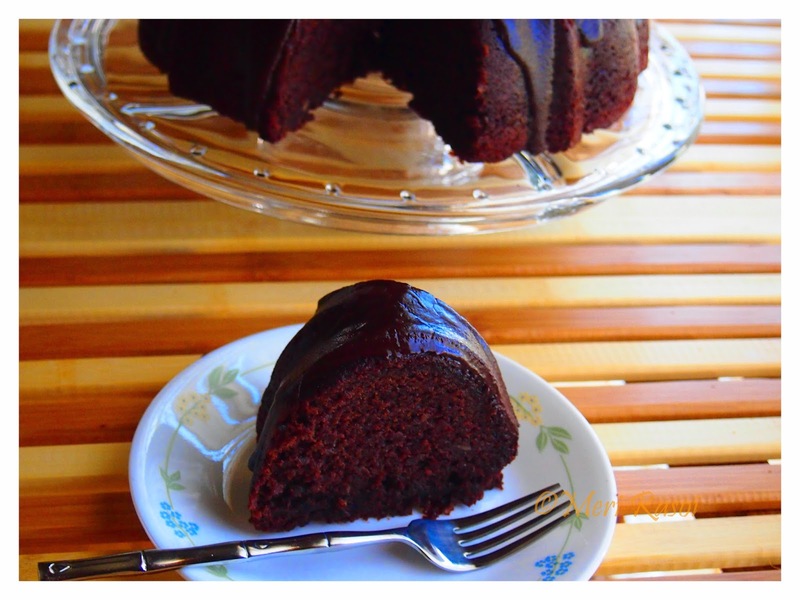 This chocolate cake is so tempting.Love the gooey texture. 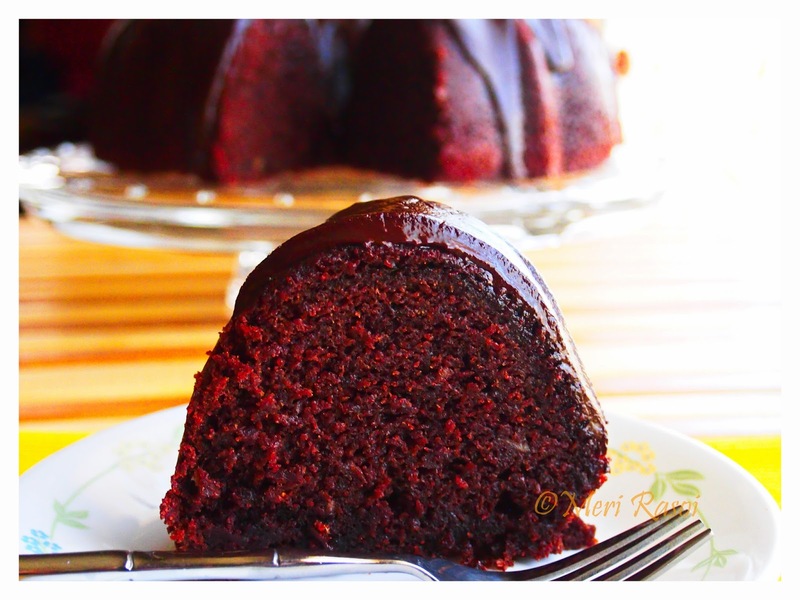 Perfect chocolate bundt cake !! Belated wishes subha..Loved each click,wish i could grab some from here. Nobody can resist this tempting, mouthwatering cake.....Looks fantastic & belated anniversary wishes dear. Happy wedding anniversary and the cake?? so nice. 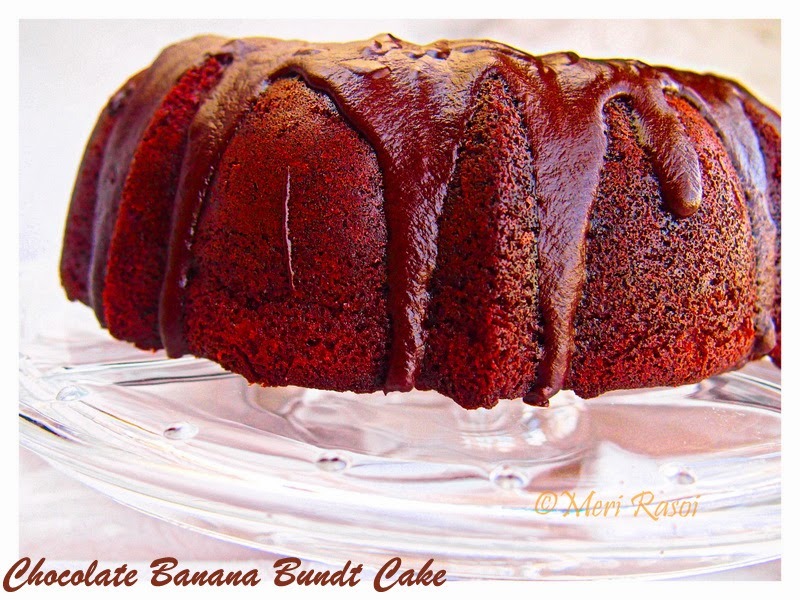 Bundt cake is looking perfect and love love the addition of Banana, Shubha! Yumm!! Looks gorgeously delicious! :-) chocolate & banana cakes are two of the most common cakes I bake - but other than putting choc chips in my banana bread I haven't tried them together - this looks like a great recipe to start with! Great cake, made it a couple of weeks ago. Company coming over for dinner tomorrow, making it for desert. Your Site is Awesome... Thanks For This. So impressive and I am loving it.